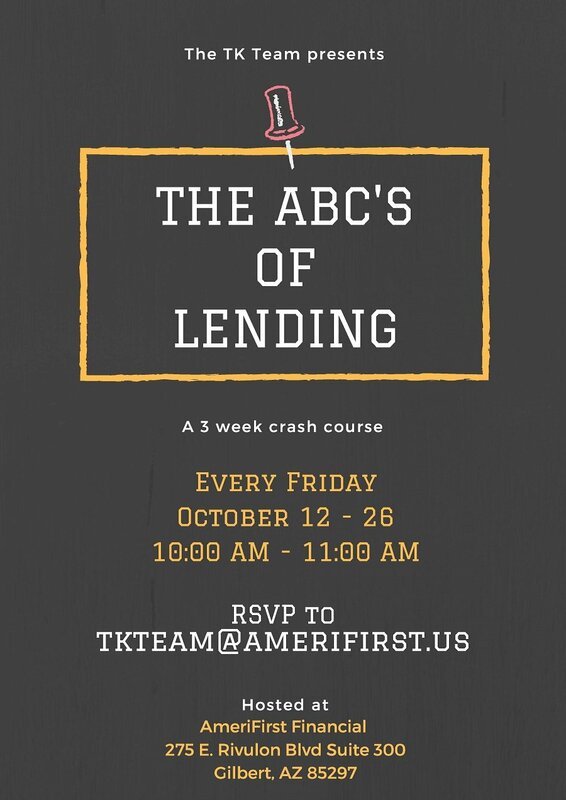 The TK Team is excited to introduce our ABC’s of Lending three-week workshop! These classes will provide you with the opportunity to gain a more in-depth understanding of important loan programs, the lending process overall and how it is affected by our ever-changing market. The ABC’s of Lending will take place Friday, October 12, October 19 and October 26 from 10am to 11am. Each class will cover two loan programs and dive into requirements, who qualifies and how to best navigate the life of the loan.